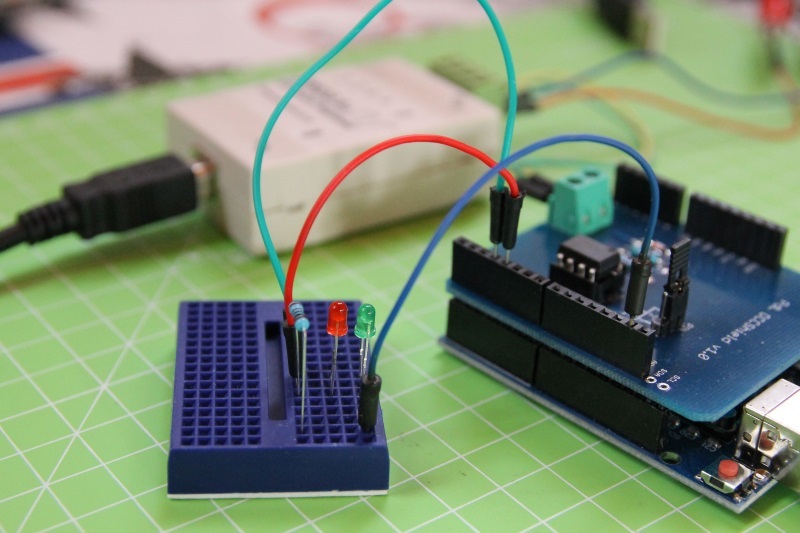 After having designed a shield to interface Arduino with a DCC bus, today I’ll show you how to realize a simple accessory decoder to control a couple of leds. 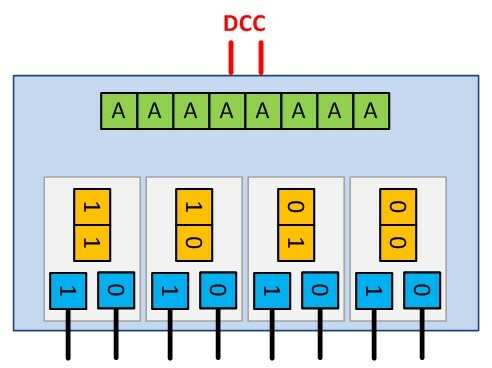 The DCC standard (specifically the document S-9.2.1 DCC Extended Packet Formats) defines different types of decoders, which are devices – connected to the DCC bus – that perform actions based on the command they receive. An accessory decoder is “intended for control of a number of simple functions such as switch machine control or turning on and off lights“. 9 bits of the packet (AAAAAAAAA) defines the address of the decoder. The address’ most significative bits (MSB) are the ones in the second bytes, while the least significative bits (LSB) are the ones in the first byte. To make things more complicated, the bits in the second byte are in ones’ complement representation. Most significative bits are 011. If you ones’ complement them, they become 100. Least significative bits are 0010011. When you concatenate the two parts, you get 1000010011, therefore the decoder’s address is 267. 2 bit (PP) represents the address of a single port of the decoder. Conventionally, an accessory decoder has 4 ports, each one with a couple of outputs. Bit O chooses, for the port represented by the PP bits, the output the command is related to. Finally, bit C is the action and defines if that output must be activated (1) or disactivated (0). Some manufacturers prefert to use a “flat” addressing (not distinguishing between decoder address, port number and output). A good explaination about the different addressing methods (MADA, PADA…) is available on the Rocrail wiki. The list of suitable pins for each Arduino board is available in the wiki and you can use the digitalPinToInterrupt() method to get the interrupt number that correspond to each pin. The first two parameters are the manufacturer code and the decoder version; the DCC command station can get those values reading the corresponding CVs (configuration variables). 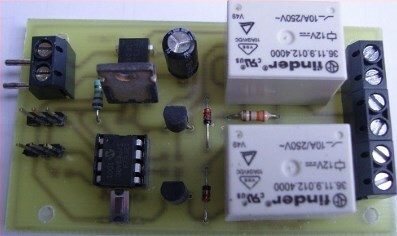 For self-made decoders, the ManufacturedId is set to MAN_ID_DIY. 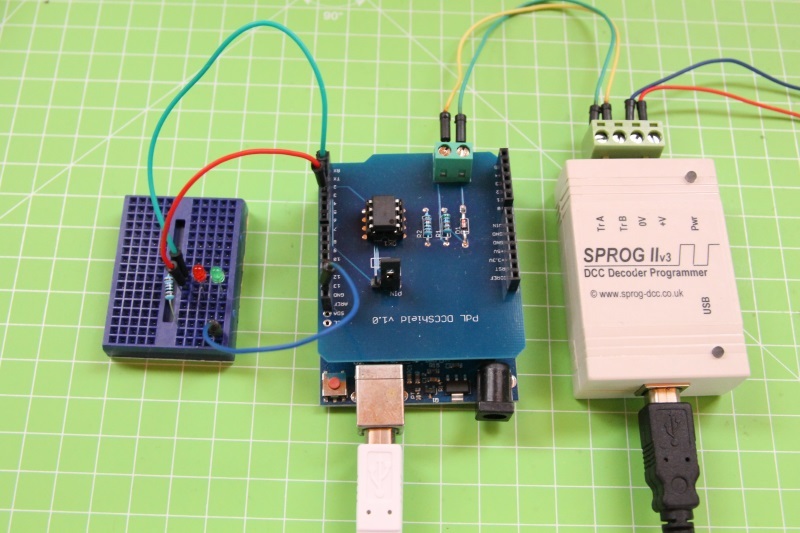 For accessory decoder, you have to specify at least the third flag (DCC_ACCESSORY_DECODER). The first flag tells the library to filter the DCC messages it receives and to process only the ones sent to the decoder address. I usually do not set that flag, because I want my sketch to be able to “see” each incoming message. In my code I then decide which messages to process and which not. The first 3 methods are called for basic accessory decoder packets, while the last for extended accessory decoder control packets. In the code I added 1 to the port address to be able to number the ports from 1 to 4 instead of from 0 to 3.